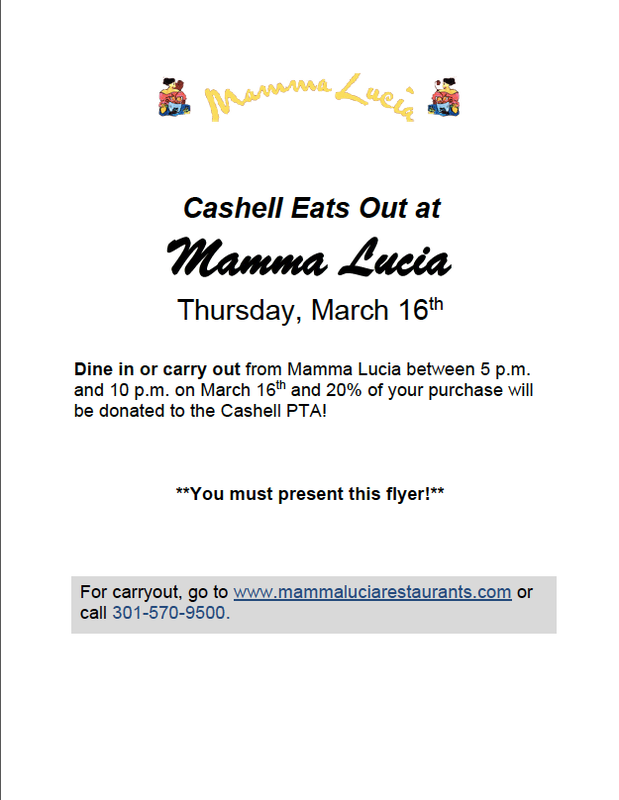 Dine in or carry out on Thursday, March 16 from 5pm-8pm at Mamma Lucia in Olney and 20% of your purchase will be donated to the Cashell PTA! You must present the flyer. Click on the image above to download and print the flyer.